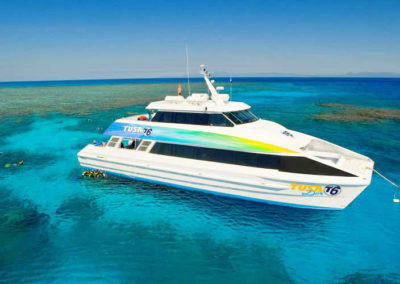 Cruise to the Outer Barrier Reef on one of the newest vessels the ‘Tusa 6’ as you venture to some of the most exclusive coral reef sites. In this day cruise, you will visit 2 reef locations in the one day! Begin the day from the Cairns Reef Fleet Terminal where you will board the vessel and be transported to the outer reef in 90 minutes. 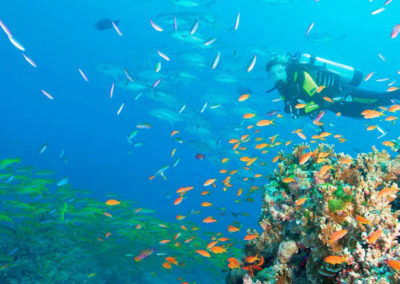 Enjoy up to 5 hours at the Great Barrier Reef snorkelling or diving two unique locations. Passenger numbers are limited to ensure that you are comfortable and have a memorable day out on the reef. 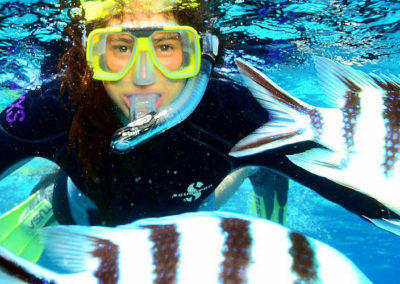 Free guided snorkel tours are offered by the friendly crew along with informative reef talks and presentations. Morning tea, afternoon tea and a buffet lunch is provided on board to keep you energised throughout the day. Freshen up and make use of the hot showers on board before you head back to Cairns. A $10 per person reef levy is payable on the day and is not included in the cruise. 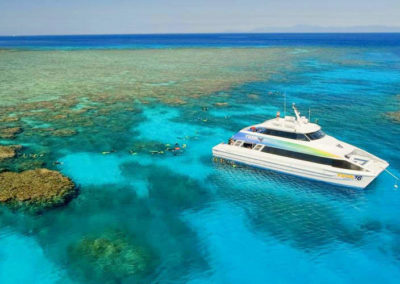 Discover the world heritage Great Barrier Reef on this snorkel and dive cruise that visits 2 amazing reef locations. Book online today to secure your spot!